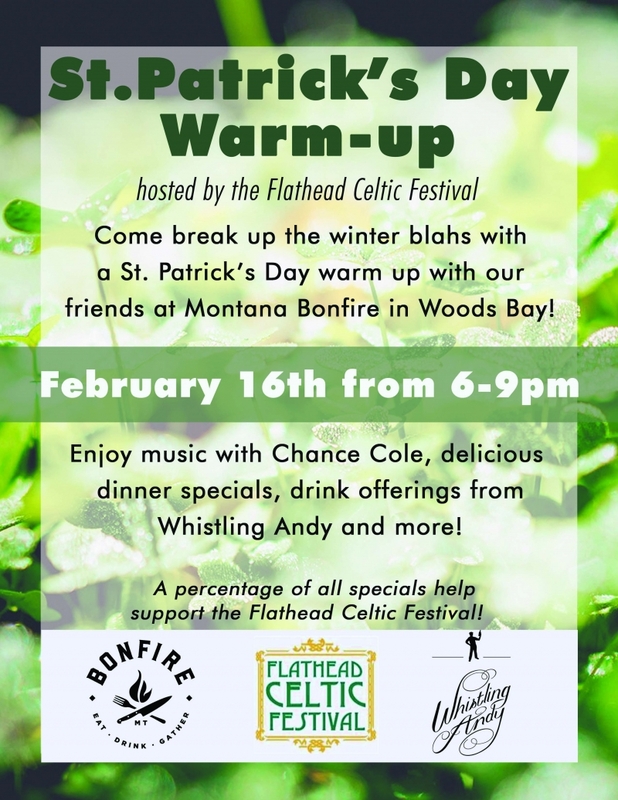 Come break up the winter blahs with a St. Patrick’s Day warm up with our friends at Montana Bonfire in Woods Bay on February 16th. There will be some good Irish music with Chance Cole from 6-8pm, dinner specials, and drink specials from Whistling Andy Distilling. 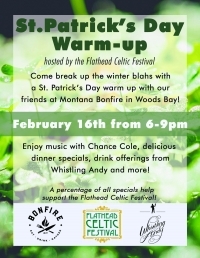 A percentage of all specials help support the Flathead Celtic Festival.